Somali-born rapper K'Naan may have exchanged the cross-fire of civil war for the rapid-fire of hip hop and rap, but in his latest album Troubadour, Somalia is still every present. K'Naan, born Kanaan Warsame, fired his first gun at the age of eight. At 11, he found a hand grenade, detonated it by mistake and blew up half his school. Later, he saw three of his closest friends shot dead. He and his mother fled the Somali capital, Mogadishu, in 1991, just as the country plunged into civil war. Now resident in Canada, the situation in Somalia still very much it influences his music. His songs are sometimes described as "poetry for the dispossessed" and K'Naan sees himself more as a poet than a rapper. 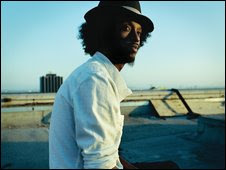 K'Naan means "traveller" in Somali and much of his music is about his personal journey from war-torn Somalia, to the streets of New York, to rapper in Canada. Speaking to the BBC World Service about his new album, he explains why his homeland is so omnipresent in the songs. "I don't think you can ever really escape Somalia, once you've had that experience and lived in it," he says. "A lot of my family's still home, and I think the reflection of when I was a young boy there and also as a grown person contributing and making music, my reflections on it are still very much prominent on this album." Tracks called Somalia and America sit side-by-side on Troubadour. In Somalia, K'Naan challenges listeners about their preconceptions about pirates, rapping: "So what you know about the pirates terrorise the ocean? To never know a single day without a big commotion?" He says Somalis are presented as people without reason, and he is concerned with the way the media presents piracy. "I think it is still undiscussed in the true sense of what is going on with it," he says. It is context that is often missing according to K'Naan. "I really wanted to touch on it, not from the way the media has been covering it, but from the way a Somali would talk about it." "I think its conveniently discussed...not in a way that is well rounded at all. 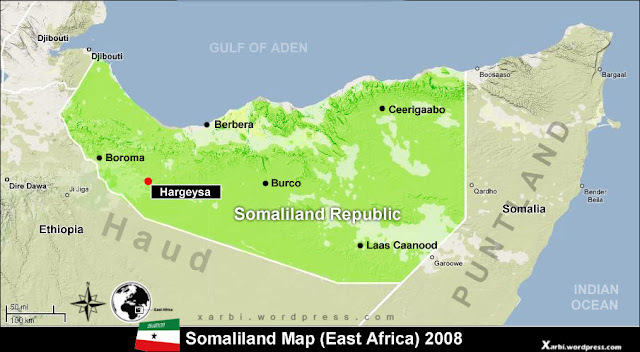 A lot of the issues we talk about in western media when we're concerned with Somalia are very much sensationalised." He accuses the media of telling us what has happened, but rarely why. It's not just piracy that concerns him. He always agonises over his responsibility to the many members of his family that were not able to escape Somalia with he and his mother when the civil war first broke out. "We have family members whose homes were hit by rocket propelled grenades and we have to be responsible for trying to get them into proper hospitals, if there is such a thing in Somalia. These things are daily issues and everybody is just kinda trying to survive over there." His music is increasingly popular both not just in North American and the Somalia diaspora, but also in Somalia itself, breaking new territory for rap and hip-hop. "My music does [have a profile in Somalia] but modern hip-hop music does not," he explains. "My music mixes the traditions of Somalia to American folk protest to hip-hop. Somali's because of the content of the music have taken to it." But he resists any efforts to label him a spokesperson. "Just by the nature of what I do I think people kinda respond to it...but I'm not really trying to be a spokesperson, to be honest." Instead he just wants people to listen to his music and enjoy it.